Current warm night temperatures and a very odd apocalyptic-coloured sky have graced autumnal months so far at West Dean. This unseasonal weather has kept the gardeners wondering whatever will be next. One doesn't want to bleat about the weather (oh alright then!) 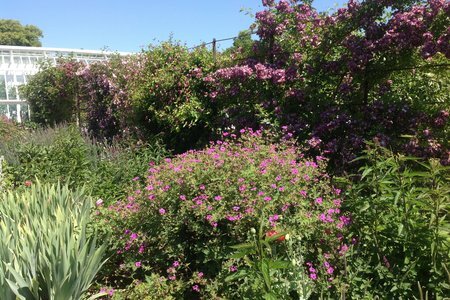 but this year's weather has been so conducive for box blight it's been unbelievable watching is rapacious progress throughout the Walled Gardens. Autumnal work completed so far this month: finished vegetable crops have been composted, spring bedding is in the ground, bulbs are potted for next year's spring display and we are beginning to amalgamate collections under glass to assess, propagate and prepare for 2018. 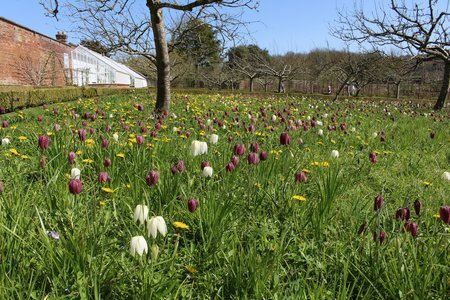 Another very seasonal activity is ordering seed for the following year, Thompson and Morgan have been stalwarts in providing seed for West Dean over the years along with Kings and Chiltern seeds. I'm always on the lookout for tempting annuals for use as a cut flower or to add an extra something to border displays and in recent years a pale yellow cosmos called 'Xanthos' has been a winner and Salvia splendens 'Yvonne's Giant' has been an eye catcher on the hot border. Next year we are going to feature the annuals we've loved out of recent annual trials of different genera: larkspurs, cosmos, rudbeckia and in particular zinnias - one of my many favourites will be on show. Autumn means the beginning of the glasshouse cleaning operation, this task tailors in with our displays and activities which have to move around at this time of year from glasshouse to glasshouse in front of the glasshouse cleaning team. Stu is the chap you will see blasting the glass-joints with a needle of pressured water to dislodge the algal growth between the panes of glass; it's an exacting and tiring job as he holds the kit under his arm hour upon hour. Another three gardeners are on the inside adopting curious poses as they clean the glass, scrub floors and under benches. 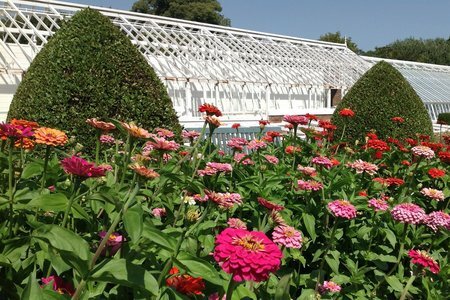 It is a perfect example of a team effort keeping the stately glasshouses in tip top order. Up in the Arboretum another section of path has been created for a more comfortable perambulation through the centre. On your walk you will see that there has been a lot of understory clearing. 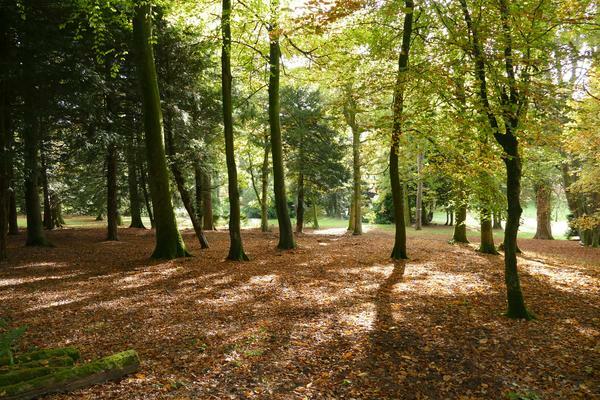 The change is incredible as now you can actually see more of the trees as well as their trunks and, with a greater number of wildflower glades established, the obvious charm of this environment is there for everyone's enjoyment. 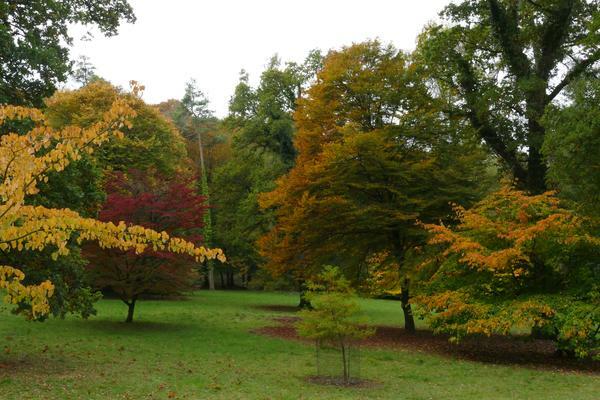 So an autumnal walk is recommended with a delightful break at the Garden's Restaurant at the end. One of the most beautiful views in the gardens is that of the park in front of the house, it changes every day and looks terrific now with long seasonal rays of afternoon sun streaking across the grass. 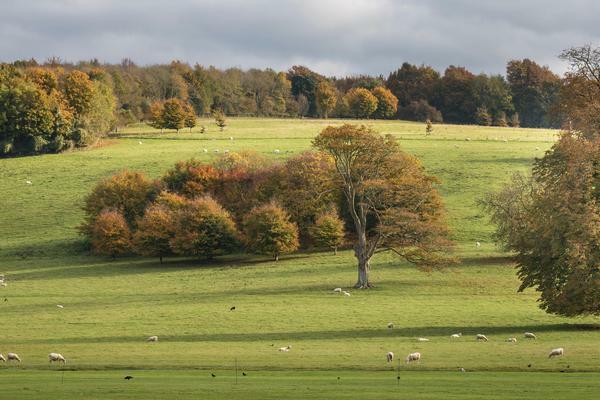 More views of the Downs appear as you stroll along the Pergola and at the very far end of the garden you get a long, long view toward the Weald and Downland Museum - it's all eye catching stuff which offers plenty of artistic opportunity to photographers. Well rattle m'bones its Halloween time again at West Dean Gardens! 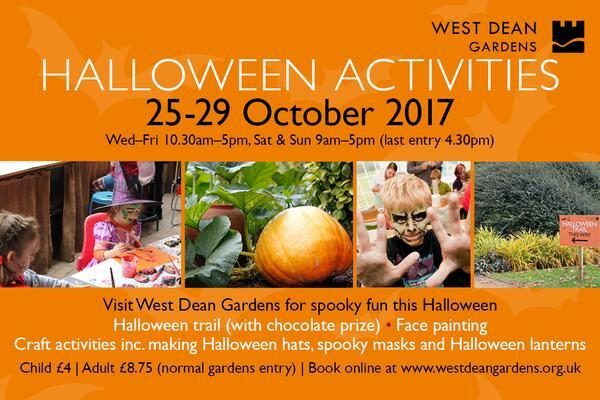 There'll be plenty of activities for little horrors and monsters so bring them along 25-29 October for some ghostly horrible fun!